Your daughter or son may have just told you that she/he is lesbian, gay or bisexual. You might have been wondering about their sexuality for a while, or the announcement might have come as a bolt out of the blue. Perhaps they have yet to ‘come out’ but somehow you know that they are gay and want to offer your support. Whatever the reasons are that have bought you to this page, you are probably looking for information, support or understanding – and possibly all three. Even if you are absolutely fine with your child being lesbian, gay or bisexual, you probably have questions and perhaps concerns. 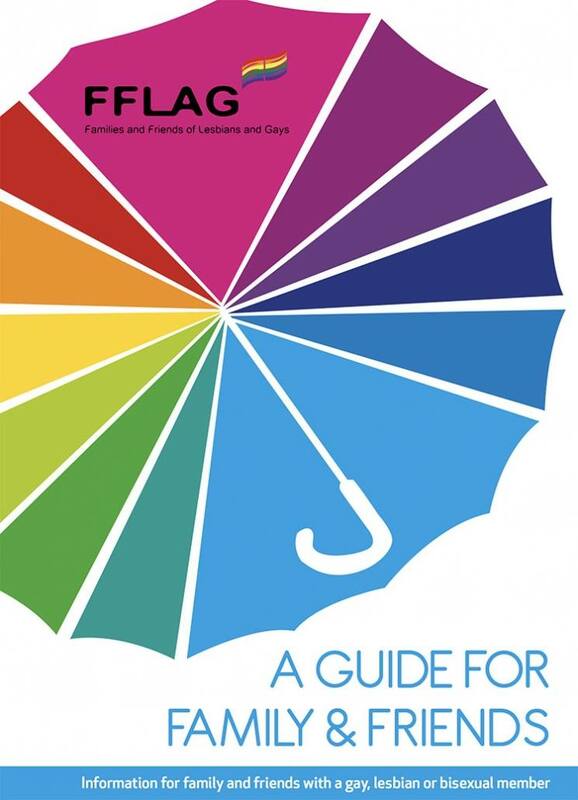 Do look through FFLAG’s booklet (below) ‘A Guide for Family and Friends of Lesbians and Gays’. If you are finding it difficult to adjust to the idea that your daughter or son is lesbian, gay or bisexual, FFLAG is here to support you. Again you will find ‘A Guide for Family and Friends’ helpful – particularly realising that some of your feelings and reactions are similar to those of other parents. However, we know that each family situation is different so please get in touch with us if you want to talk through what is going on for you. Call us or email us. We know that each family situation is different so please get in touch with us if you want to talk through what is going on for you. Your call/email will be answered in confidence by a parent volunteer who has them self got a lesbian, gay or bisexual daughter or son.